Boa – Steakhouse is a sophisticated hot spot. It featuring upmarket prime beef & seafood dishes amid stylish, sleek decor. The facility artfully combines a bold, colorful environment with modern-day steakhouse fare. This steakhouse has 3 locations. 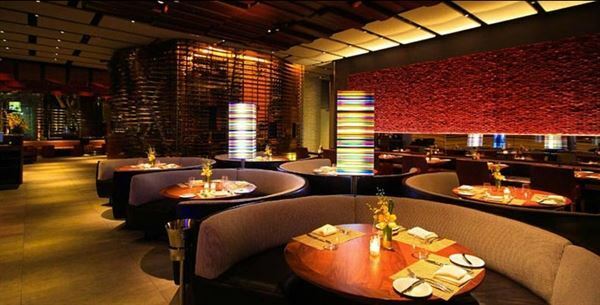 BOA Steakhouse - Santa Monica is one of those locations which recite in Santa Monica of California. It is contemporary American steakhouse. Our expert staff will make sure that your event is a great success. The package includes: •	Caesar Salad , Mixed Greens or Today’s Soup •	Choice of Brick Chicken or •	Spaghetti & American Kobe Meatballs •	Finish With ice-cream & Coockies Please review our attachment for more options. Menu items available for both lunch & dinner unless specified. All mashed & baked potato items are gluten free. The package includes: • Choice of appetizers • Choice of salads • Choice of entrees • Choice of rubs & crusts • Choice of sauces • Choice of sides Please review our attachment for pricing,more options and menu selection.